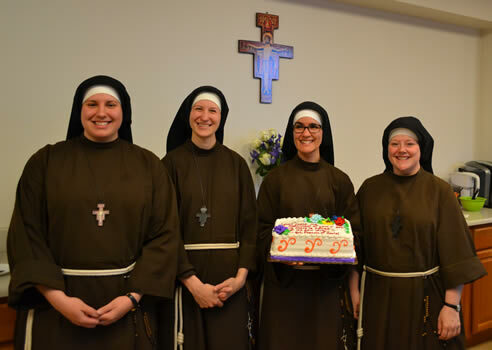 Congratulations Sr. Jaime, Sr. Jess, Sr. Laura T, and Sr. Alicia on their graduations! 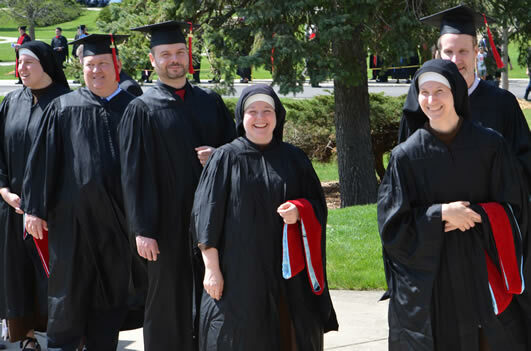 Sr. Jaime, Sr. Jess, and Sr. Laura T graduated from University of St. Mary of the Lake with Masters of Arts in Pastoral Studies. 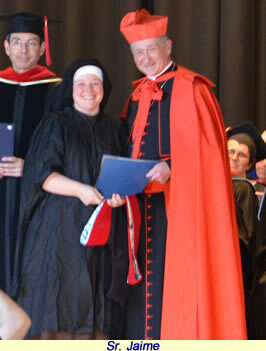 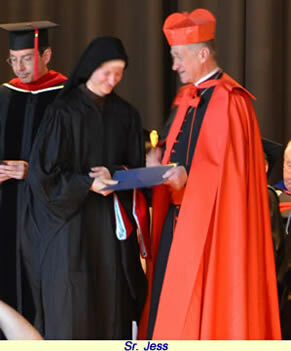 Sr. Alicia graduated from Dominican University with a Masters of Arts in Teaching. 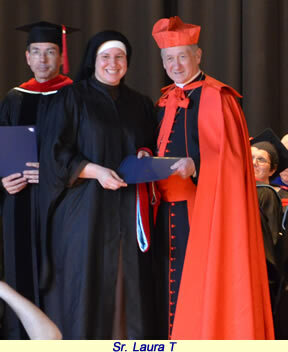 Sr. Alicia will begin teaching religion in a Pre K- 8 elementary school next fall. 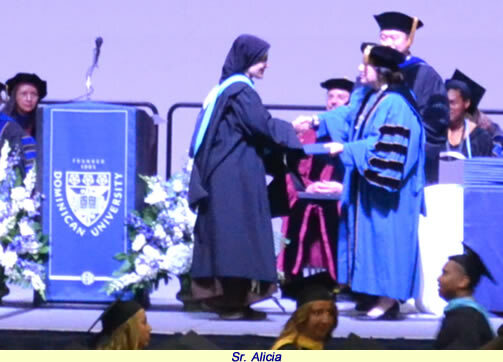 Sr. Laura T and Sr. Jess will begin their Masters of Arts in Teaching at DePaul University in the fall. 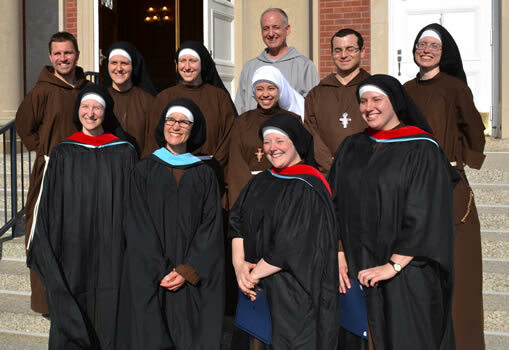 The Franciscans of the Eucharist of Chicago aim to teach religion part time in financially challenged Catholic Schools in the Archdiocese of Chicago while simultaneously doing the work of the Mission of Our Lady of the Angels.